Home > What's On & Where To Go > Local Theatre Interviews and Features > Richard Carr is Lord of the Prance !! Following the phenomenal success of the 2015 UK tour, Michael Flatley’s Lord of the Dance: Dangerous Games is excited to announce a return to the UK in 2017 for a 23 city Nationwide tour. Fresh from hugely successful runs in the West End, Broadway, Europe and the Southern Hemisphere, Lord of the Dance: Dangerous Games continues to thrill audiences around the globe with its intoxicating mix of dance and music that fuses the traditional with the contemporary in a classic tale that showcases the exceptional talent of the cast. Celebrating 20 years since he debuted Lord of the Dance, Flatley’s UK tour will star his protégés James Keegan, Morgan Comer and Mathew Smith in the role of the Lord of the Dance. 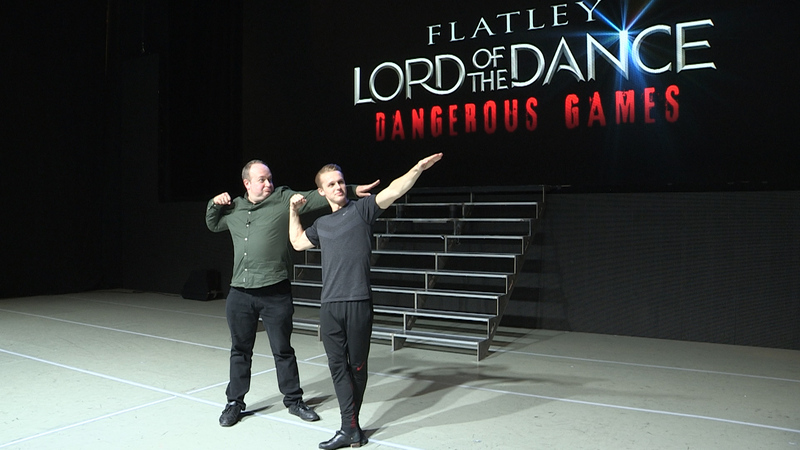 The show is produced, choreographed and directed byMichael Flatley. With all the precision and thrills of the original, Lord of the Dance: Dangerous Games features new staging, cutting edge technology, new costumes and choreography, world champion acrobats and 40 of the world’s most outstanding young performers all directed by Michael Flatley. With new music by composer Gerard Fahy, this latest iteration combines the best of tradition with all the excitement of new music and dance. Richard Carr joins the cast for a master class!! !